SAP co-CEO Bill McDermott is pleased with what he and Jim Hagemann Snabe have been able to accomplish so far, but he acknowledges there’s still a lot of work to do. Since Bill McDermott and Jim Hagemann Snabe took over as SAP co-CEOs in February, they’ve been riding a wave of good feeling. But halfway through their first year, what have they accomplished? What’s left to do? And what are the key deliverables for the rest of the year? 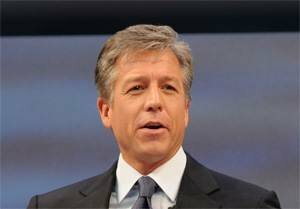 McDermott spoke with SearchSAP.com before SAP’s second quarter earnings call Tuesday for a mid-term review of his first year as co-CEO. SearchSAP.com: What is your biggest accomplishment over the last six months? McDermott: We’ve put a firm strategy in place for the company -- to build our on-premise application business with customers, develop an on-demand business, including Business ByDesign. It also includes in-memory technology and analytics, and on-device as well. The second thing was getting employees, the ecosystem and the customer base of SAP energized about our company again. And I think we have in large measure achieved that. It’s evident in the fact that we’ve grown our business double-digit year over year in software and software-related services; we’ve expanded our margins. The idea of re-energizing SAP and restoring its luster I think was a second big move for us. The third is setting the tempo for a really bright future. If you look at the second half of 2010, today we actually acquired Sybase and by completing that transaction, we now have a software and software related services guidance of 9% to 11%. SearchSAP.com: What haven’t you been able to accomplish that you thought you would? What are your top priorities for the rest of 2010? McDermott: First, meet our obligations and commitments to the capital markets. Secondly, we want to make sure that Business ByDesign is successful. Third, we want to make sure the Sybase acquisition goes very smoothly – by very smoothly we mean we want to run it as a separate company. Next, we want to make sure our in-memory and analytic technology – we call it HANA – is a showpiece for the marketplace. SearchSAP.com: What is the biggest misconception about SAP right now? McDermott: Some people still have the neuro-association with SAP that it’s the big company’s company. And that’s probably not fair anymore, considering today we broke through 102,500 customers worldwide; 74% of our business is coming from small to medium-sized enterprises, and we added 10,650 new customers this quarter. Clearly, we have taken this well beyond the Fortune 2000. The other piece is, we’re not just an ERP company. When you consider the majority of our growth, it’s not coming from just the ERP but of course the whole Business Suite, and on top we’re driving tremendous growth with the BusinessObjects portfolio. SearchSAP.com: One of your key priorities has been getting products to market faster. But this year, there have already been a couple of delays – most recently, the Innovation 2010 enhancement package for Business Suite 7. How can customers be assured that this isn’t indicative of business as usual? McDermott: With Business Suite and 2010 Innovation, there were really 140 customers globally that wanted to immediately consume that value. We had a meeting with those customers, and they said that quality is even better than speed. [They said] to the extent that you guys can get the quality perfect, we’d rather have it at the end of the year than the middle of the year. Now, in terms of bringing products to market faster, I completely agree. Since we’ve been in here, you’re seeing promises made and promises kept. We also have our “game changers,” a list of products we’re looking at developing and bringing to market in 90- to 120-day cycles as opposed to a year to two-year cycles. For example, industry-specific analytics. Every industry has different content and business process/analytic scenarios that it values. So what we’re doing is bringing 10 industry-specific, content-specific, analytics-specific scenarios that are turnkey, out of the box to customers in those industries, and we intend to scale it across the world. SearchSAP.com: Being slow to market has been a chief criticism of SAP. But some say SAP moves at the pace of its customers. Is that true? McDermott: I think to some extent when customers invest in SAP, they’re investing for the long term. So perhaps to some extent, we always make sure that the end-to-end business process is granite. There’s less pressure to innovate those core enterprise systems every year or every two years because they are longer-term investments. If you look at the Business ByDesign world, that innovation cycle will be much quicker because you’re innovating in the cloud. I think we’re a category killer here. The reason that I say we’re a category killer dates back to the on-premise best-of-breed days. As soon as SAP came out with a suite that was good enough, no longer did the customer want to have best of breed that may have been best for the features and functions, but they didn’t really breed. Therefore, you had the disconnected enterprises, with business processes that weren’t harmonized, with data that didn’t make any sense.